RORO: This method involves driving the vehicles on and off large vessels called RORO ships. The vehicle is then strapped and secured onto the ship to stop it from Moving. This method of shipping is cheap and convenient method of shipping to St Petersburg in Russia. Container shipping: This method of shipping is whereby cars are loaded inside steel 20 or 40 foot containers and strapped securely to avoid movement. 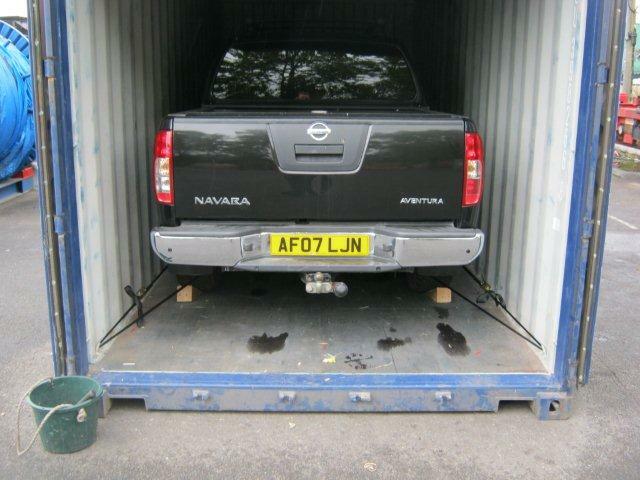 The container shipping method to St Petersburg in Russia is the safest way to ship cars. Note: Above is just a guide as we require actual dimensions of vehicles in order to confirm rates as they do vary with size. Prices may fluctuate at any given time. We can ship from any of the following areas and more: London, Birmingham, Manchester, Sheffield, Doncaster, North East, East Midland, Cental England, Coventry, Leeds, Liverpool, Hull, North Yorkshire, East Yorkshire, West Yorkshire, South Yorkshire, Bristol, Newcastle Upon Tyne, Nothampton, Nottingham, Guilford, Leicester, Slough, Ilford, Oxford, Plymouth, Preston and Reading. Car shipping Kenya | Car shipping Tanzania | Car Shipping South Africa | Car Shipping Cyprus | Car shipping Australia.